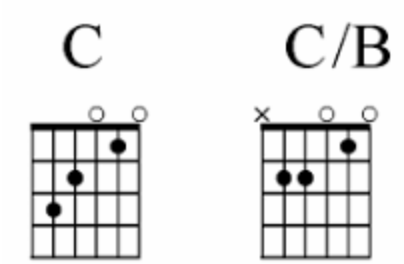 When learning guitar, you’ll want to be able to know how to recognize & understand chord embellishments like C/B. Or possibly D/F#, Or F/C. 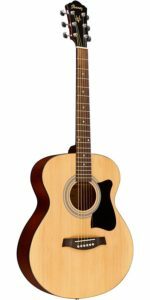 Knowing how to recognize the chords that you might be looking at in a songbook or possibly in tabs on the internet is very important to be able to play a certain song. Or to possibly add note extensions to a particular chord. In the first chord diagrams, we are playing a C major. A chord that is one of the basic natural chord shapes in guitar because it is so common in many songs. In the second diagram, we are changing the root note of the C on the third fret fifth string, to the B note on the second fret fifth string. This adds a little different sound to the chord. It gives it a little “darker” tone in the base being that you’re moving the root chord down one fret. You’re still playing a C major chord, you are just embellishing it to give it more character. Here is another very common chord shape you will find in many songbooks and chord charts. The infamous D/F#. 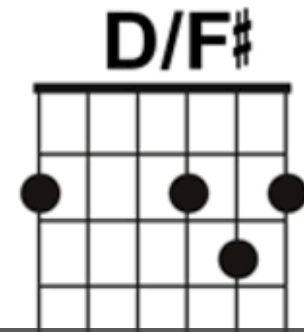 In this diagram, we have a D major chord with an F# added in the base. Here we have a natural D chord shape on the second and third strings on the second and third fret. We then add an F# note on the second fret of the sixth string. Once again this adds a “darker” tone to the chord. The F# played over the D chord adds character and a bit different type of emotion to the chord voicing. 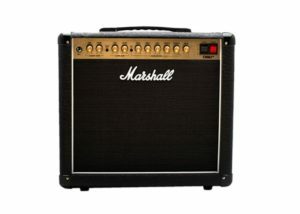 If you just play D by itself it can have a nice bright natural sound. But by adding the F# note embellishment it adds a little bit of moody emotion. Which can be great for certain types of applications. By understanding the notes that make up your chords, you can then add texture and emotion to your playing. Music has been known to move people. To make them display certain feelings. Excitement, joy, anger, sadness, etc. This can all be given recognition to the chords being constructed in the song. Of course, there is more to it than that, but chords and how they are put together is a huge part of that feeling you get from music. That is why if you want to move people with your music, you should learn to understand the inner workings of chord construction and playing rhythm. This is an aspect that I think gets overshadowed by the lead guitar solo. For example as in AC/DC. Malcolm lays down the rhythm and Angus plays the solo over the top. 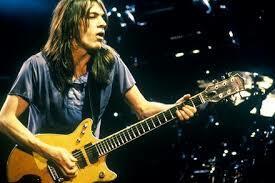 Now when you think AC/DC you picture Angus playing hot lead guitar! Which he does quite well might I add. But what is often overlooked is the fundamental rhythm that Malcolm is playing underneath. 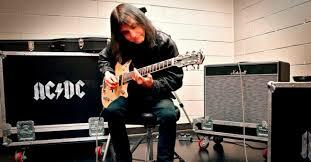 In fact, a good lead guitar player needs to have a good sense of rhythm in order to play solos over the top. But it is even more important for the rhythm guitar player to create the emotion of the musical landscape that moves the listener. This can be seen very clearly in any AC/DC song. In fact, it can be seen in most rock songs in general. Another great benefit of being able to recognize chord embellishments is the better understanding of music theory. Understanding music theory will open you up to a whole new world! A world of endless possibilities. Where the sky is the limit when it comes to musical composition. 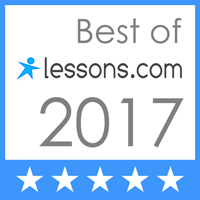 Where you’ll literally learn another sacred language that most guitar players have no idea about. I say this because most guitar players don’t read sheet music and don’t take the time to learn to understand how music theory works. They merely play by ear. Which is good in its own right, but by being able to understand music theory, you’ll be able to soar above the crowd. You’ll be able to put notes together and know for sure they will sound good. No fumbling around and guessing. 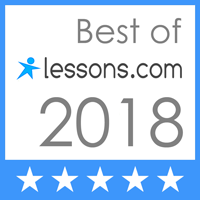 By knowing your notes (and if you don’t know this by now I highly suggest you get on the ball of learning them) you will be able to clearly see where you can add notes to the chord or take notes away to create variations and alterations in the chord voicing. 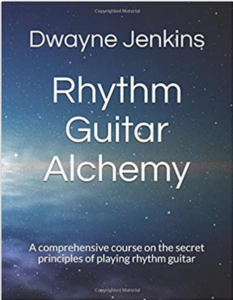 Become a rhythm guitar playing alchemist! 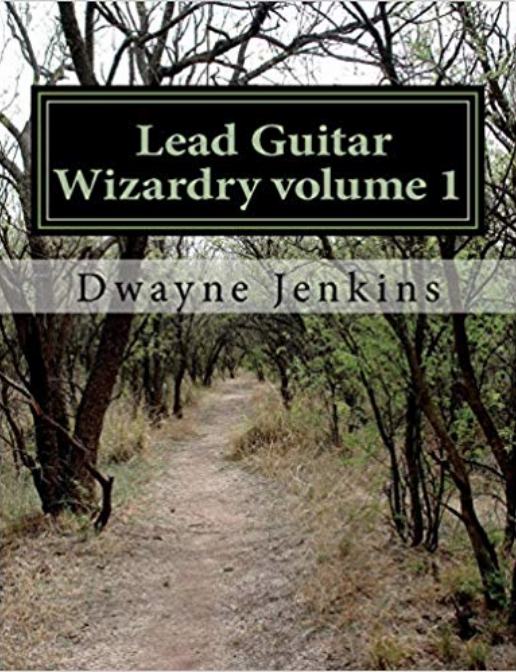 A rhythm guitar playing alchemist. A person who studies the inner working of properties. These people were scientists who attempted to turn lead into gold. By studying the properties that made up the metals they felt they could alter the DNA and change the metal into something else. Gold!! In fact, this is what musicians do. They figure out a way to turn lead into gold. Well actually Vynl into gold but you know what I mean. Think about it, when an album sells 500,000 copies it’s considered gold! If it sells a million copies it’s considered platinum! See what I’m getting at? In my humble opinion, I recommend you take some time to learn how chord embellishments work and use them in your own music to create color and emotion. 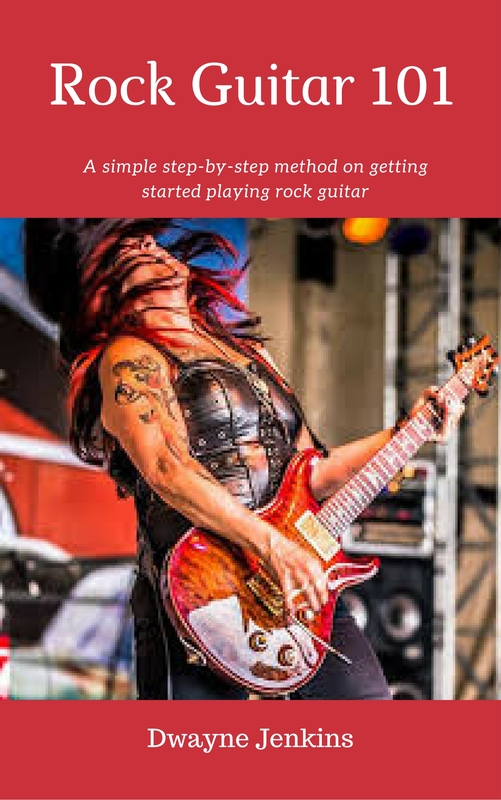 This will make your music more enjoyable to listen to and give you greater satisfaction as a guitarist because you understand the inner workings of the guitar. 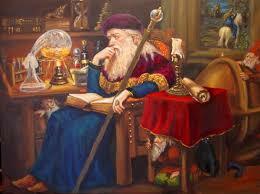 Which will allow you to unlock its mysteries that someday you may turn lead into gold! That you will one day create a musical composition that will move people in such a way that they buy it. Then more people will buy it and if your lucky, you may sell 500.000 copies. Maybe even more. Thank you once again for reading this lesson and if you have any questions, feel free to reach out and I will help. Be sure to sign up to my guitar club for exclusive training tips that will be delivered directly to your inbox.